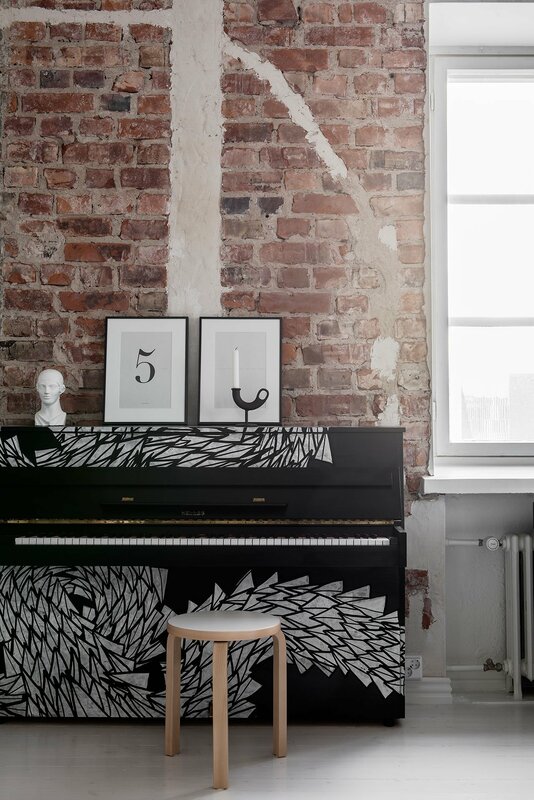 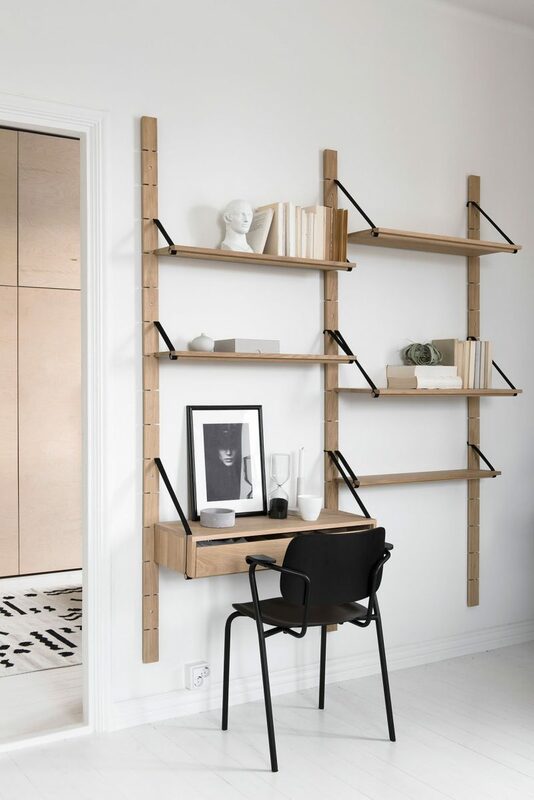 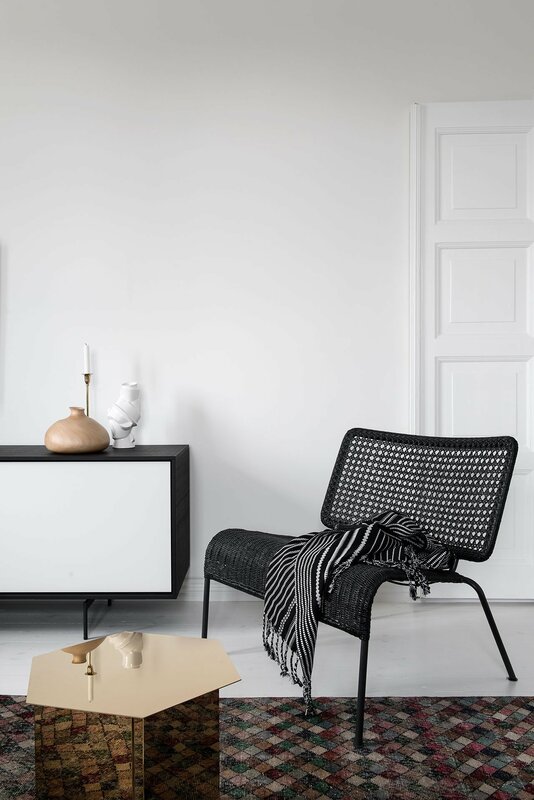 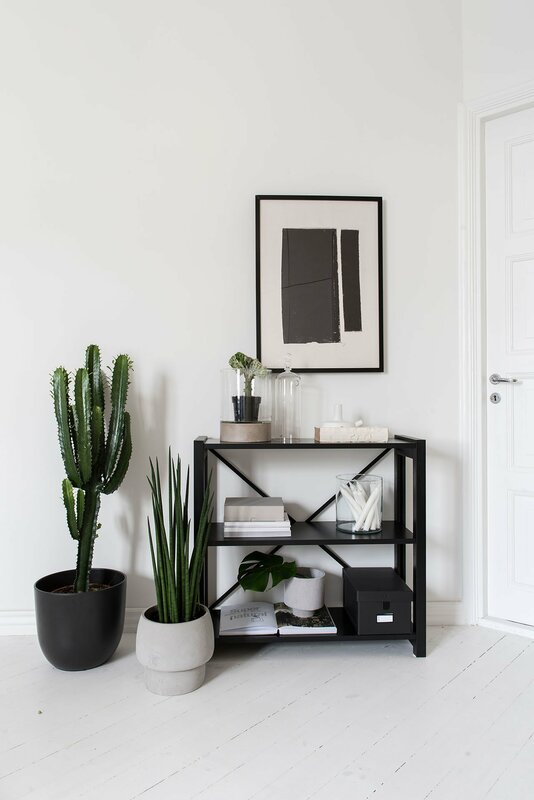 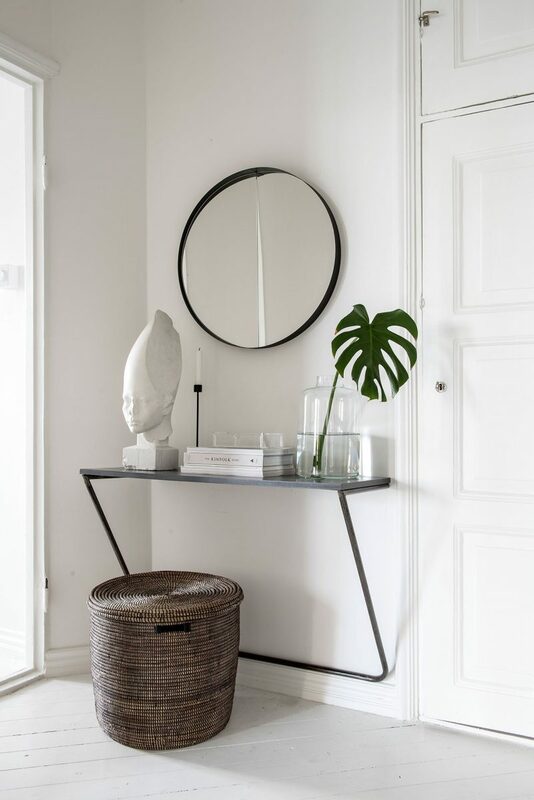 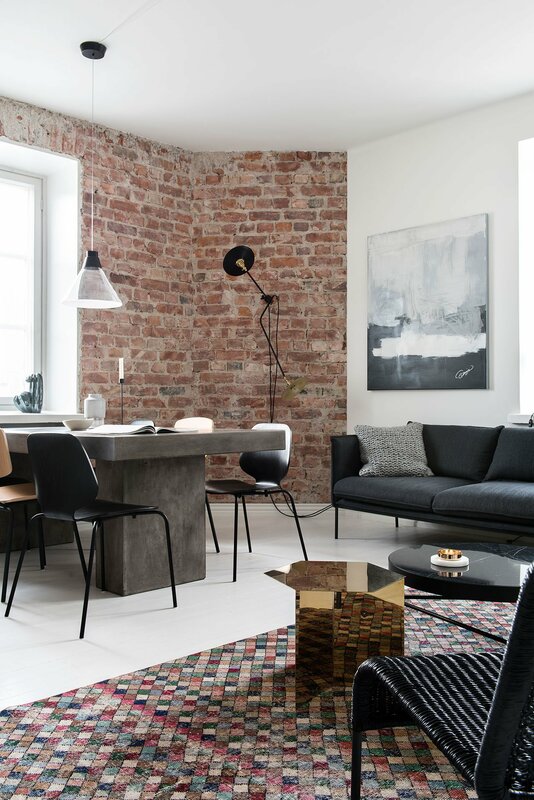 Laura Seppänen designed this monochrome and minimalistic apartment in Helsinki for pop musical composer/producer Hank Solo. 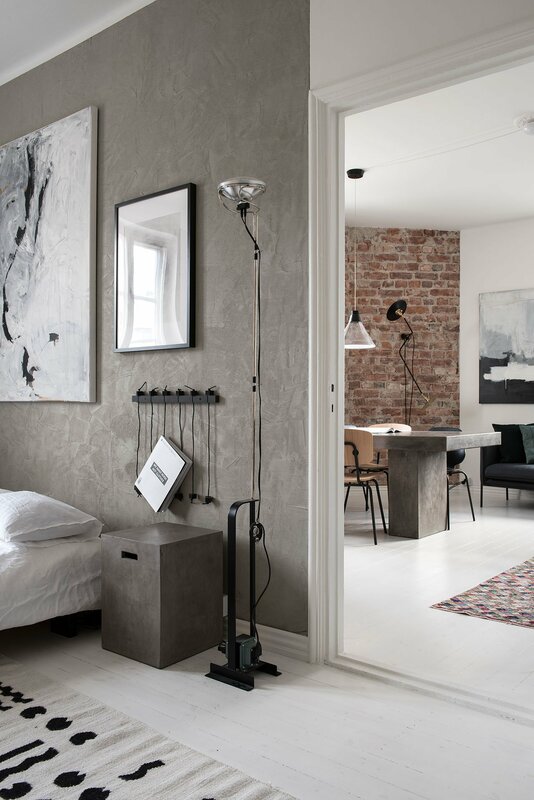 The goal was to create a luxurious and industrial New York-style hotel room. Laura was able to perfectly switch up the minimalist style with great eye-catchers such as the exposed brick, the wall finish in the bedroom and a piano that has been transformed by graffiti artist Otto Maja. 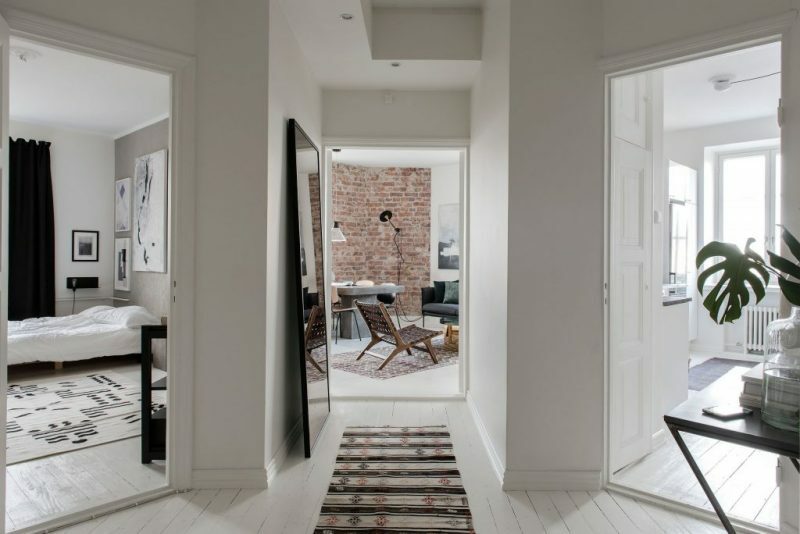 These details give the apartment just the right edge and makes it not look boring. 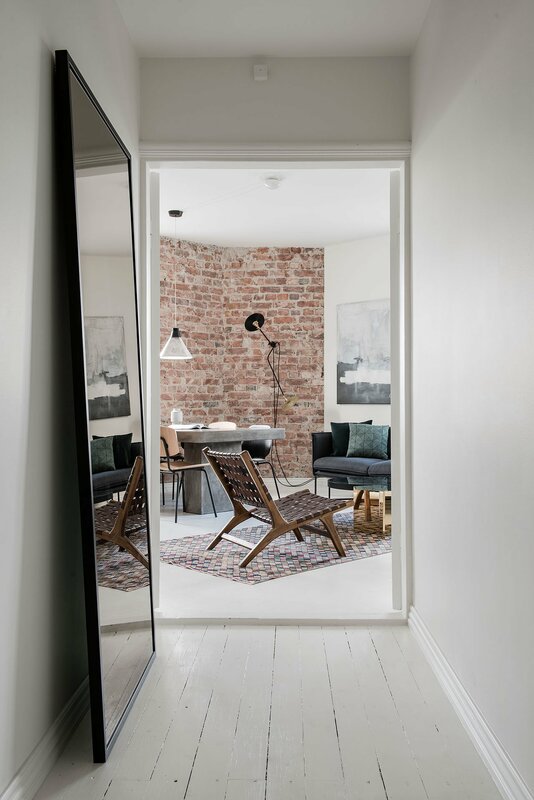 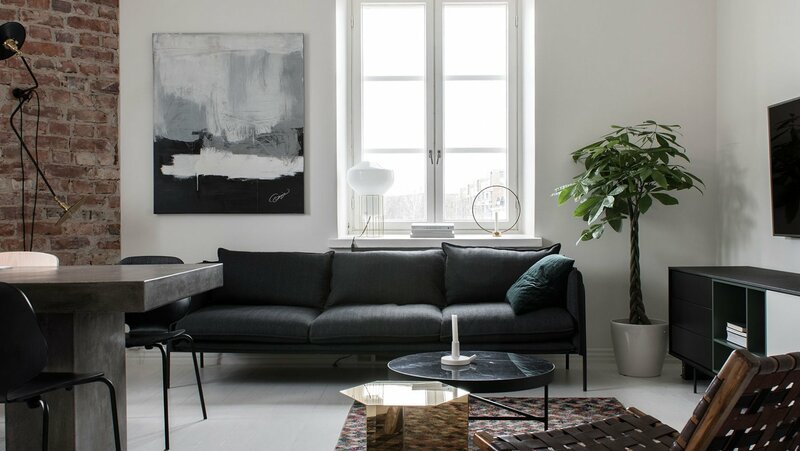 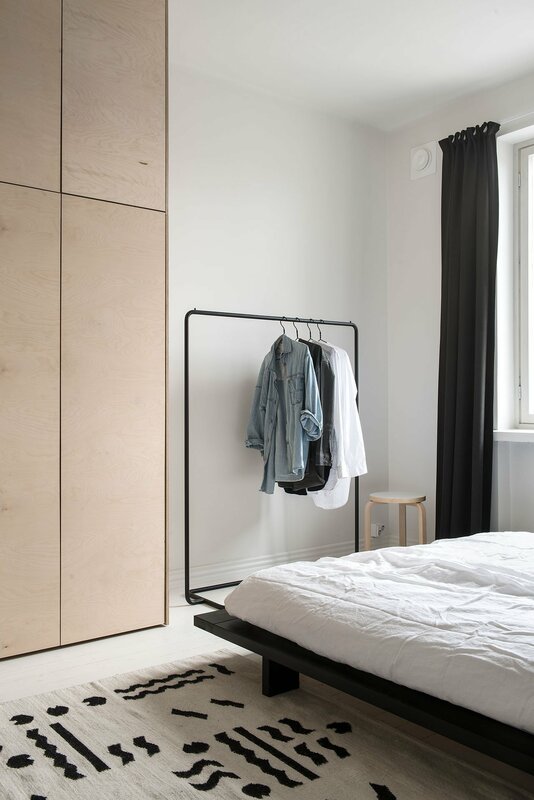 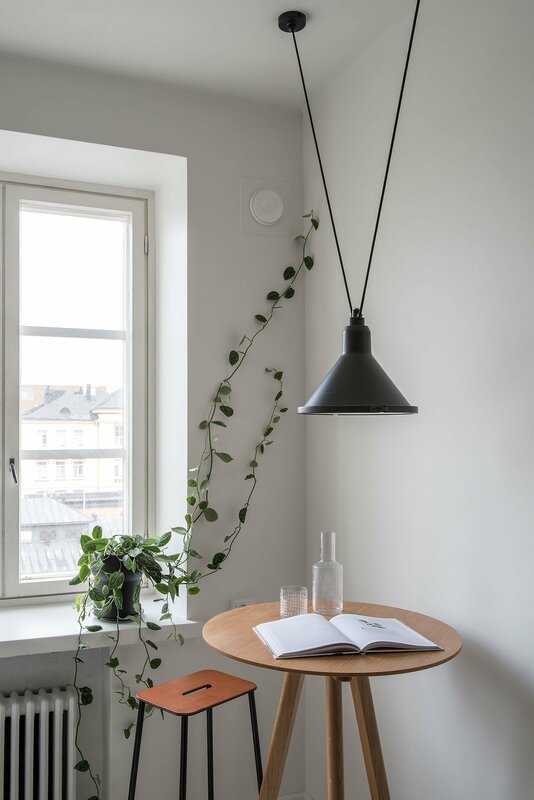 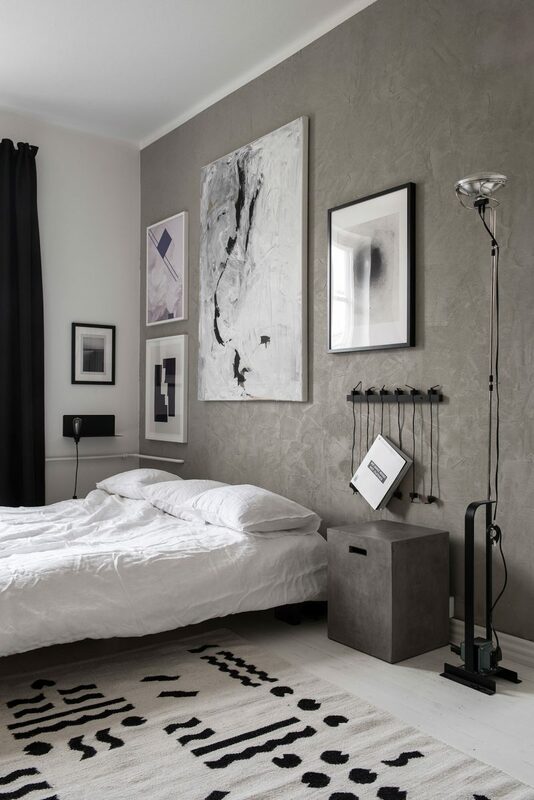 A beautiful minimalist but cozy & hip apartment in Helsinki.